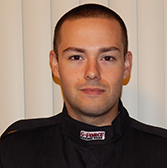 Craig started his addiction to motorsports with autocross in 2012. After only three autocross sessions he was deployed to the middle-east where he proudly served his country until February 2012. While deployed, Craig became more and more interested in becoming part of motorsports and while searching on the internet in his spare time, he discovered Formula 600 and instantly resolved to make himself a part of the series. In 2013 he redeployed to the states and began to follow the series while continuing to autocross and participate in PDXs as much as possible. In October 2013 Craig was finally able to see F600s in person at the American Road Race of Champions at Road Atlanta. This was all that was required for him to resolve to get his novice permit for the 2014 season. On Feb 21-23 Craig, with the help of the McMahans, he was able to successfully complete his SCCA Driver’s school and attain a novice permit. Although he will not be able to commit to a full season, Craig is looking forward to testing his metal against F600 and F500 veterans on the track in the limited events he will be able to attend.